A European Union court has dismissed a Canadian application that sought to overturn a ban on seal products. The General Court of the EU rejected the claim from Inuit Tapiriit Kanatami and other groups that had wanted to overturn a ban that devastated much of the consumer demand for clothes and other products. 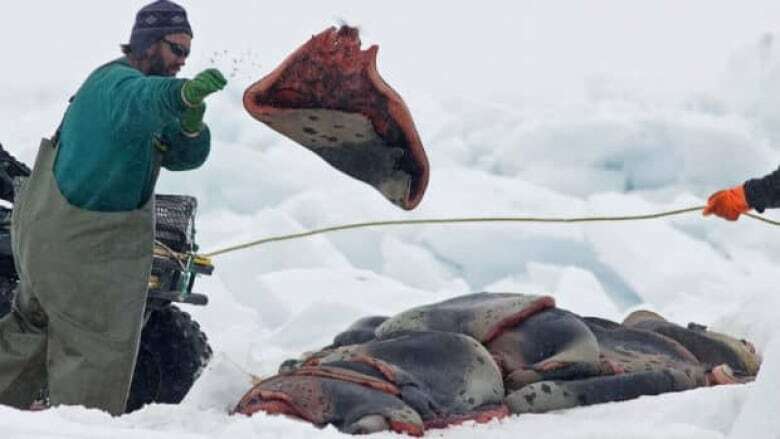 ITK, the Fur Institute of Canada and different sealing organizations had argued that the 2010 ban was effectively preventing seal products from any source from entering the EU, even though Inuit were to be exempt from the ban. But the EU judges did not agree with the plea. "The General Court confirms that the objective of the basic regulation, which is the improvement of the conditions of functioning of the internal market, taking into account the protection of animal welfare, cannot be satisfactorily achieved by action undertaken only in the member states and requires action at EU level," the court said in a written statement filed in Luxembourg. Fisheries Minister Keith Ashfield and Health Minister Leona Aglukkaq, who represents Nunavut in Parliament, denounced the decision in a joint statement. "Our government’s position has been clear: the ban on seal products adopted in the European Union was a political decision that has no basis in fact or science," they said. The federal government said it will continue to pursue a trade challenge. "We firmly believe this ban is contrary to the EU’s World Trade Organization obligations and will continue to defend Canadian interests in this regard on the world stage. The Canadian government will continue to send a strong message that we are serious about defending our legitimate commercial seal harvest." Apart from ITK and the Fur Institute, the bid had been supported by a number of hunters and an Iqaluit businesswoman. The Fur Institute argued that the EU ban was politically motivated and not based on sound rationale. The court wrote that the applicants failed to make a persuasive case. "Moreover, the applicants, who are of very different origins and, for the most part, do not belong to the Inuit community, have not demonstrated the effects on their right to property in relation to the different categories into which they fall," the statement said. The International Fund for Animal Welfare applauded the EU court's decision. "We are very pleased," IFAW seal campaign director Sheryl Fink said in a statement. "European citizens have been clear in their rejection of commercial seal products, and we are relieved that the closure of the EU market to non-Inuit commercial seal products has been upheld by the European General Court."